If you’ve ever been to Mexico’s Yucatan Peninsula, you know how remote it is. 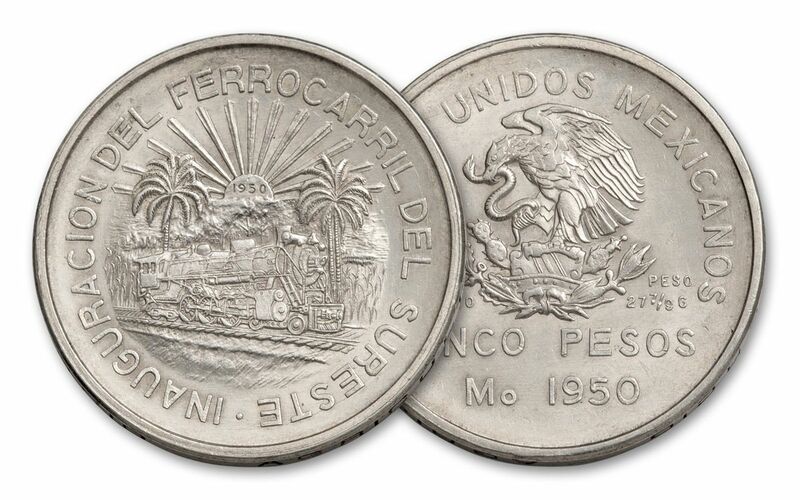 It’s so remote, in fact, that when a new railway connecting the Yucatan to the rest of Mexico was opened in 1950, the Mexico City Mint marked the historic occasion by striking this one-year-only 5 Pesos silver commemorative in celebration! 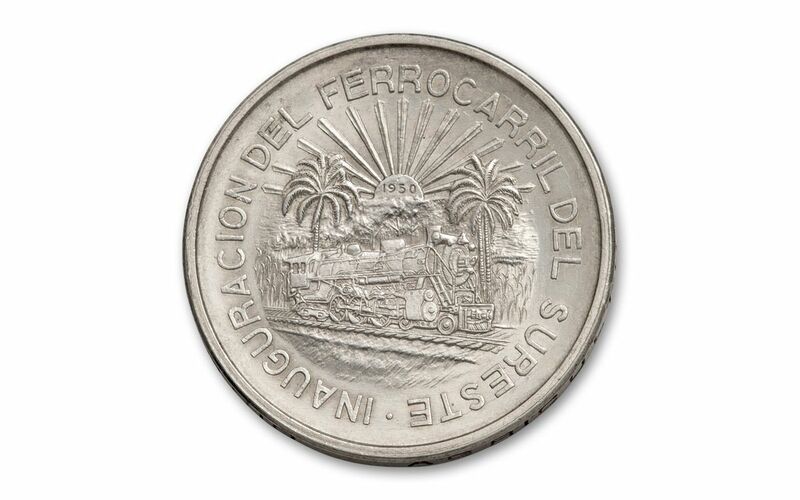 The 27.78 gram, 72% silver coin features a locomotive steaming ahead past palm trees as the sun rises in the background shinning its light on a new era in Mexico. 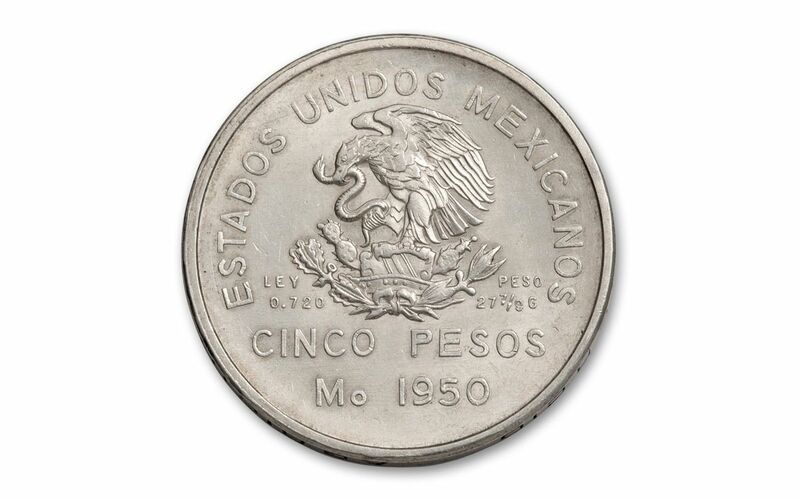 This beautiful coin is from a relatively small worldwide edition limit of just 200,000 pieces – and of that figure it is estimated that half the mintage was melted to produce Mexico’s famous 1968 Olympic 25 Peso Silver Commemorative Coin. Each coin in this offering is in About Uncirculated (AU) condition and features beautiful full mint luster. Get yours now—they’re on the express train out of our vault!